Alaskan ivory carvings are not only gaining a bad rap from a ban on elephant ivory. Rural economies are suffering in the confusion. Fossilized ivory and walrus ivory carvings created by Alaska Natives are the focus of a renewed public relations campaign to stress to other states that there is no ban on legally obtained Alaska ivory artifacts and art pieces. At the Alaska Federation of Natives convention in Anchorage in a recorded message played Oct. 19, Interior Secretary Ryan Zinke used part of his address to reassure delegates. “On the policy side, we are protecting your right to sell walrus ivory. It is different from banned elephant ivory and it’s important to make that distinction,” Zinke said. A couple of developments are underway to emphasize that Alaska ivory carvings are legal on the world market. One is a bill introduced in the Senate last week by Sens. Lisa Murkowski and Dan Sullivan informing other state legislatures they cannot ban the sale of legal Alaskan ivory art carvings. Called the Allowing Alaska Ivory Act, a companion bill is to be introduced in the House by Rep. Don Young this week. The legislation would preempt states from banning walrus ivory or whale bone products that have been legally carved by Alaska Natives under the Marine Mammal Protection Act. The bill also preempts states from issuing bans on mammoth ivory products. This negatively impacts Alaska Native artists who depend on the sale of their handicrafts as a source of important income in a cash-limited economy, the resolution states. The AFN resolution is a request to the congressional delegation to take action making sure other states know Alaska ivory is not to be equated with elephant ivory. 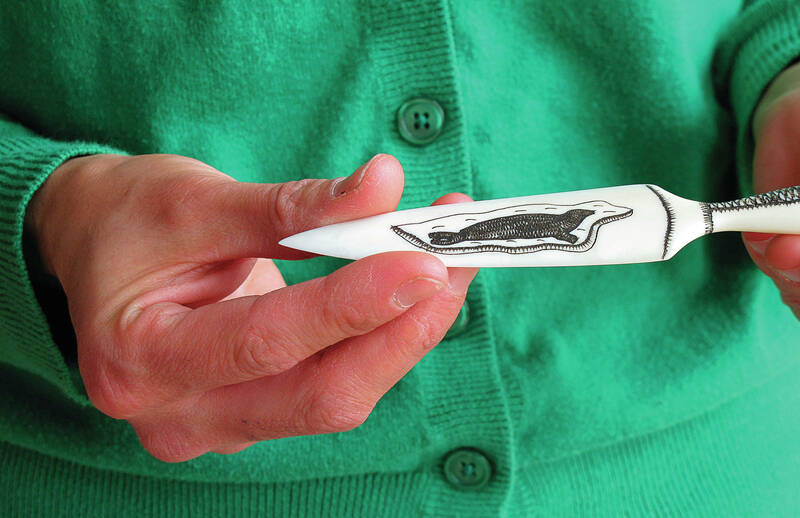 The use of legally acquired walrus, mammoth, and mastodon ivory by Alaska Native carvers to create tools, handicrafts, jewelry and artwork is a longstanding cultural tradition that continues to be a vital component of Alaska Native cultures, said Young’s spokesman, Matt Shuckerow. He noted that setting the record straight is also important for the millions of visitors who come to Alaska each summer and seek out legal ivory purchases. “We’ve received a lot of calls and understand that it is impacting the economies in the villages,” he said. Murkowski, Sullivan and Young were already working on the problem through a series of actions in response to the same request at last year’s AFN. In addition to drafting legislation, they sent a letter Oct. 17 to the president of the National Conference of State Legislatures in Washington D.C. The bottom line of the letter was to inform state legislatures about the legality of mammoth ivory that comes from extinct animals and the legality of Alaska Natives’ ability to hunt walrus. A separate letter was addressed to California Gov. Jerry Brown. The California legislature enacted a law stating that California Fish and Game defines the term “ivory” to include a tooth or tusk from a species of mammoth, mastodon, walrus, whale or narwhale as containing ivory. All of it is lumped together with Asian and African elephant ivory, though it makes some exceptions for legal placement of ivory in guns and other items. It’s also aimed at a number of states that have enacted legislation claimed to be combating the illicit elephant ivory trade, Murkowski said, but sweep in Alaskan ivory along with it. “The legislation being passed by many of these states would prevent Americans from purchasing and possessing traditional Alaska Native handicrafts derived from marine mammal and locally found fossilized Mammoth ivory, thus destroying a legal and cultural tradition,” Murkowksi said.